The implementation of the project was concluded on October 31, 2016. 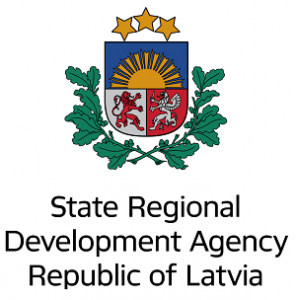 The aim of the project was to encourage leaders, politicians and staff of local governments to become more creative, to look for new approaches to problem-solving, to use experience of other local governments and support of the Latvian Association of Local and Regional Governments (LALRG) in acquisition and analysis of the facts describing performance of local government. To attain this goal, the benchlearning system model for Latvian local governments was elaborated. The project has promoted qualitative changes in the governance of municipalities – it encouraged local governments to seek for their own specific advantages and select own methods to improve life standard in their territories making use of local circumstances and local human resources. In 2016 four thematic cooperation networks of local governments concluded their project work with elaboration of the final documents – 9 marketing strategies of local governments and 72 local sectoral development plans or service improvement plans elaborated by participating local governments themselves. The impact of the developed documents will be better assessed after their implementation, however, the questionnaire conducted in November 2016 in the pilot municipalities of the project showed increase of customers’ satisfaction with the quality of the municipal services already in 2016 compared to 2012. 51.98% of the respondents (762 persons out of 1466) acknowledged that they were satisfied with the service quality and that quality has improved. The satisfaction increase over the given period of time is influenced by a number of factors, including the implemented project which provided for systematic inter-municipal experience exchange and application of benchlearning method in the development of service improvement documents in each individual local government. 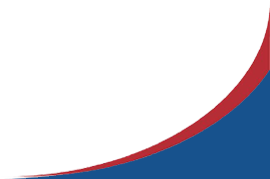 Equally important result of the project is the developed benchmarking database – benchlearning information system BLIS https://blis.lps.lv/lv/ As the database was elaborated only in the final stage of the project, it will be more intensively used only after the project implementation period. The database will accumulate data on the performance of local governments, performance indicators, experience descriptions, results of scientific researches pertaining local governments and other information facilitating smarter local governance. The researches give added value to further development of the database as they provide theoretical justification for innovations and scientific basis for acquisition and analysis of data. During the final stage of the project 24 training seminars were organized for further capacity enhancement of local political leaders and senior experts. The themes of the seminars “Effective team work” and “Effective communication with clients” were selected as that would provide additional support in the implementation stage of the elaborated documents – viability of the developed strategies, development or improvement plans is much stronger if the persons involved in their implementation share common understanding of the reachable goals and have skilful communication with clients. Latvian Association of Local and Regional Governments and Association of Norwegian Local and Regional Authorities (KS) on development of cooperation after the implementation of the pre-defined project in the following areas – forms and methods of intermunicipal cooperation; relocation, reception and integration of asylum seekers; development cooperation projects – experience transfer of Norwegian and Latvian local governments to the third countries. On August 5, specialists of T3 cooperation network gathered in a meeting which was hosted by Jelgava municipality. The main topics of the meeting were development aspects of housing policy, current problems of housing policy in Latvia and their possible solutions. In addition, Jelgava municipality shared its experience in housing management in the municipality. During the second part of the meeting participants exchanged their best practices and involved in discussion, moderated by Mr Ģirts Beikmanis, Chair of the Board of the Latvian Association of housing managers, and Mr Aino Salmiņš, coordinator of project’s T-3 cooperation network.